The ultimate Sci-Fi slot is here! Terminator Genisys from Playtech is a medium to high variance 5 reel online casino game based on the blockbuster franchise. Go into the future and shut down Sky Net, go to the past and destroy the T-1000. The Terminator Genisys slot offers time travel bonuses, wilds that can multiply wins and a huge jackpot of 5,000 coins. Want to know more? No problemo! Terminator Genisys is a pretty good Terminator movie that injected the franchise with a new lease of life (despite it flopping). Bringing elements of the series together, it was a clever moulding of good Vs evil, humankind Vs ruthless machines. 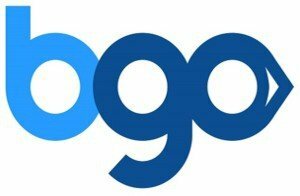 So why would slot developers Playtech go after this one? The answer is simple. It’s because the Terminator Genisys slot makes an action-packed sci-fi win-loss software system that is capable of paying out huge sums of money. It’s Terminator, but with the chance to win real money. It’s one of films most iconic characters re-defined for online casino. It’s an online slot that might actually be one of the better games of the year. Boasting 5 reels, the Playtech 25 pay line standard and grand animation, Terminator Genisys skilfully manages 4 wild elements by using in-play, a chase game and an option of 2 free spin bonuses to offer big wins. You can play from 25p to a whopping £2,500 betting a total of 25 coins a time and win up to 5,000 coins as the slots jackpot. Constructed using the very latest HTML 5 software, it’s both responsive and portable. You can play the Terminator Genisys mobile slot on your smartphone or tablet while desktops can play the larger experience. The payout rate for the slot is 95.75% RTP while multipliers within Terminator Genisys can reach 5 x the pay value. If you like the Terminator, sci-fi slots and Playtech games in general, this is likely their best effort yet! How much can you win playing Terminator Genisys slot? So, if you fancy taking on Skynet and their mean arse machines, how much can you win? Firstly, Playtech Terminator Genisys is capable of supporting high roller bets due to phenomenal coin value. In its most extreme, the slot offers bets of up to £2,500 a spin returning huge prize potential for high rolling players. But we’ll look at the low end too, playing at 25p a spin. But which ever way you look at it, there’s some good payouts in this game. The pay table for the slot includes 10 symbols (of which 5 are considered high-value) and a number of bonus inflicting symbols including multiple wilds. If playing at 25p a spin, you’d be playing 25 total coins at 1p per coin value. The lowest win at this level would be 3 x USB symbols that offer 5p. 4 x T-800 101 (Arnie) symbols pay 250 coins or £2.50 (high value win) or you could win the jackpot of 5,000 coins = £50. High rollers on the other hand win more, that’s obvious. But let’s see what the pay table returns for £2,500 a spin (ouch). At this level, the lowest win possible is £300. We’re now playing ultimate stakes betting 25 coins per spin, each coin worth £100. 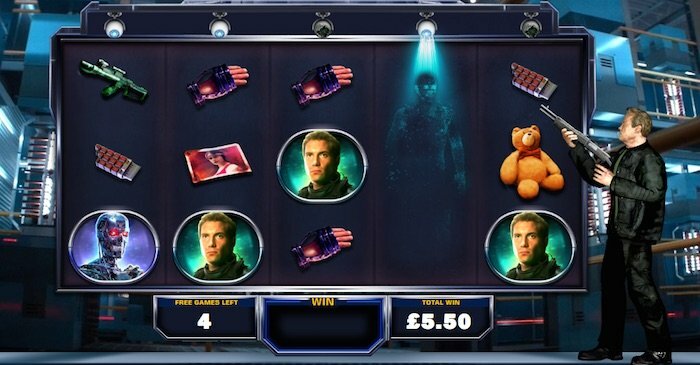 Other wins might include 4 x cyborg terminators paying out £5,000, 5 x Sarah Conner symbols = £75,000 or the Terminator Genisys slot jackpot now £500,000. What I glean from this is that Playtech’s Terminator Genisys game is very lucrative. Some big prizes yes, but some big bets too! As a medium-high variance (higher) slot, the back and forth luck swing can be expensive to ride. As another highly anticipated movie slot from Playtech, we know what we’re getting. The developer is all over its convincing animation, top-line graphics (tick that box) and most importantly, features. We want things in new slots that make them more than just reels and pay line wins. It’s a pleasure to say that Playtech uses the Terminator story to drive the extras that generate the biggest win/win moments of play. Wilds, check, Multipliers, check, Car Chase, check, Free Spins Time Travel, check! 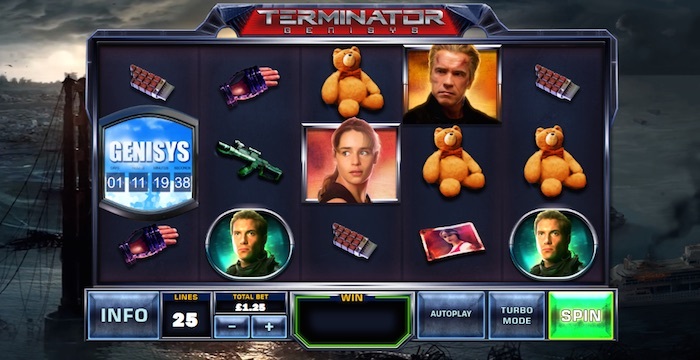 Like other new online slot games, Terminator Genisys uses the wild element (really good for helping to hit wins) but instead of one, there are four. These are: the Terminator Wild, T-1000 Wild, Gold Multiplier Wild and Stacked Genisys Wild. At any time during main game, the Terminator Wild can appear with no multiplier, 2x, 3x and even a 5x multiplier attached to its winning combination. This is a major positive for the slot because it adds value to the base game. The Terminator Wild can also appear in the 1984 and 2017 free games but without multipliers. The other three wilds appear exclusively in the free games rounds, so I’ll point these out next. Not content with your typical free spins round; Playtech adds two, puts in a time travel facility (not really) and gives you a choice. That’s right; you can choose which free games fit your game plan. I can now talk about those other Wilds. To trigger the free spins bonus, you’ll need 3 x scatter symbols (Genisys logo). What follows is the choice of two missions. Go back to 1984 and save Sarah Connor from the T-1000, sound too difficult? How about go forward to 2017 and stop Judgement Day (Doesn’t sound any easier). However both award 10 free games with obvious differences on how they pay out. If you choose to go back in time (1984), the free games begin with vats of molten steel sitting above the reels. Now it’s up to Arnold Schwarzenegger (T-800) to shoot at the vats and destroy the T-1000 (liquid metal man) Wilds if below. It’s an enjoyable feature but you want to know what happens after the melting? Basically, T-1000 Wilds turn into Gold Multiplier Wilds of 2x, 3x and even 5x the winning combination. This is Arnie activating multipliers with a shot gun and its lots of fun, not to mention the possible rewards. Of note, this game is less volatile than the 2017 free games. Another cool thing, Terminator Wilds can appear stacked for more possible wins. If you choose 2017, then you’re choosing to go into the future and take on Skynet, stopping Judgement Day in the process. (That’s terminator speak for ‘all humans must die’). Again it’s 10 free games on offer but with different winning frequency and methods. It works like 1984, but instead of vats (barrels), there are drones with projectors above each of the reels. As before, but now Arnies T-800 shoots one of the drones and in turn transforms one of the reels into a Stacked Genisys Wild. This will remain locked in place until it creates a win. It’s worth mentioning that once a drone has been shot down, no more Stacked Genisys Wilds can appear on that reel. So in theory, a really good game of 10 free spins could hit all 5 reels at some point. That would be significant. Plus, I’m seeing here that Terminator Wilds appear too, but without multipliers. This is still considerable wild action. Out of the two free games rounds on offer, 2017 is the more lucrative in my opinion. Along with multiplier wilds in the base game, Playtech’s Terminator Car Chase is another big incentive to play for real money. Why? One, it’s completely random and two, help Kyle and Sarah escape the T-1000 in this virtual car chase and it’s all about the money. This is a shooting game with multipliers, what’s not to like. It’s also one of the better random game features I’ve seen in new slots of 2018. Instructions: Aim for one of the five T-1000 symbols and reveal a cash prize of up to 10 x betting stake, a win multiplier of up to 5 x or a respin mechanism. What’s good about it? You can play until all of the T-1000 symbols have been targeted. Never before has the mission to stop Judgement Day been so important! It’s not about saving mankind from Skynet and the machines, it’s about winning money. As one of the best new slots in the Sci-Fi genre, the Terminator Genisys slot is proof of Playtech’s prime place in online casino gaming. From the dreaded soundtrack to action-packed animation, a car chase and your choice when it comes to the free games bonus, everything about this slot is so well put together you can’t help but spin. Arnie is back, and from just 25p a bet, you can join him! Slotsquad approved.